As your garden produces, you need a way to preserve all that goodness. Try these pressure canning recipes to get started. Learning how to pressure can your garden produce isn’t hard, really. Some people have shied away from pressure canning due to fears of explosions, worry about proper recipes and general lack of know how. 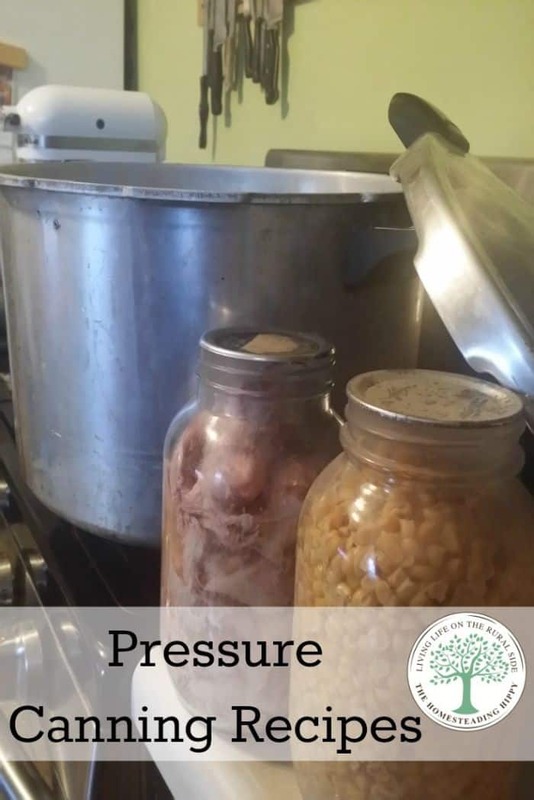 If you need some help with getting started, you can go here for some “Pressure Canner 101” help. Once you are ready to pressure can, you will want some tried and tested recipes to help fill your pantry. Here’s a list of some of my “go to” pressure canning recipes that are easy enough for a beginner, and are useful enough for the most seasoned of canning veterans! We’d love to have you PIN this to your favorite board! Oh- thanks for sharing these! My grandma always canned items and I know it is definitely a budget saving tool so thanks for the info! Your recipes seem yummy! I have canned, but haven’t tried pressure canning. Honestly I’m terrified of using a pressure cooker. When I was small, I remember my mom was cooking something in one and the lid exploded while I was in the kitchen. I’ve been traumatized ever since. I have never tried canning before, but I don’t know why I didn’t get around to it when we have so much pears, apples and what not in our orchard and garden. I should try some someday. The only thing I did a year ago was making some Pear Butter and it was delicious and jarred some of them. 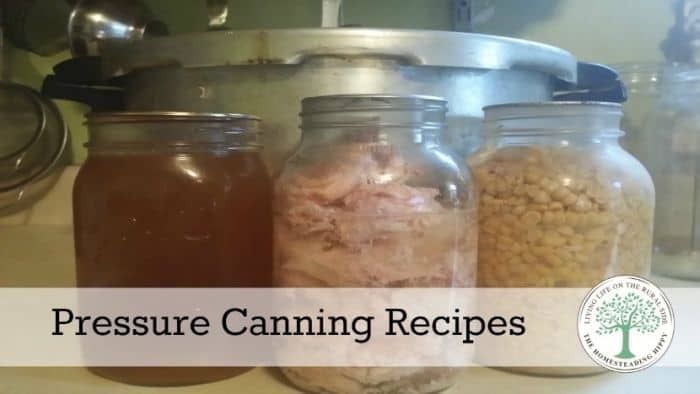 I sure know nothing about canning and thanks for sharing. Your recipes sure do sound yummy. I’ve only done water bath canning in the big pan, as our pressure canner broke. I’m still on the fence about buying a new one, as I keep promising the hubby our garden will be a huge success and then I kinda fail miserably. I really want to can salsa! If that’s your pressure canner in this pic, I love that it’s been used alot! 🙂 Canning has saved me a ton of money, and honestly I enjoy watching my backyard garden grow, and then getting to enjoy the harvest all year long. Yes, that’s my canner 🙂 it gets a lot of use in our house…at least weekly! This is a great round up of recipes. Thanks for sharing! i love canning and just got a pressure canner for christmas. can I take a Crockpot recipe, and pressure can it? without knowing the recipe you are using, its very difficult for me to say “yes”. There are a lot of factors in a recipe that can effect safety. Learning to can could really be handy!!! My mama does a little bit of that. hello I’m planning on pressure canning some lobster haven’t been able to find a recipe would it be the same as calms and other fish? Although there are tested times for crab, fish and clams, I am not aware of any safety tests done on lobster.